In my short lived life, I have had an opportunity to observe many motivational speakers, stand-up comedians, Spiritual Gurus & Educational Speakers. Some speeches appear to be boring after certain point of time, however the ones that have a story in it are most enjoyable & are attention seeking! 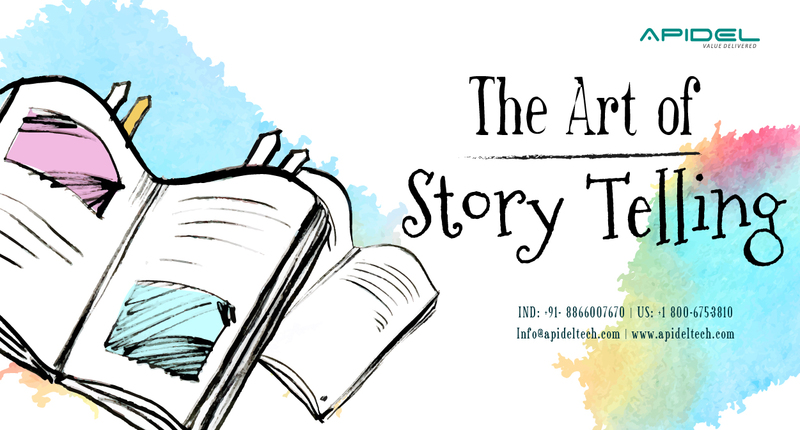 Yes, Storytelling is an art and not everyone’s cup of tea. Try to answer this question, who is the best storyteller in your life…? I am sure the answer will be either of our Grandparents. We loved to listen and go to bed or get motivated when they recited the stories. In a similar way, businesses and firms wants to tell stories based on real facts about their past journey, where they currently stand and where they , . This is where a Storyteller comes into picture – a “Data Scientist”, who extracts images and trends from a company’s past data; based on the Top 5 Pillars i.e. What, Why, When, Who and How, by using different tools and techniques to project a clear idea about the company’s roadway towards achieving its goals. We know how important it is for a company to plan for its future to be on the Top of the list; but do you think it is so easy to plan all this? Of course not; it requires terabytes of data and a perfect analysis to be conducted by a #DataScientist to see this future virtually. A #DataScientist’s job is rated as one of the fastest growing and best paid jobs in the world. Top universities are including #DataScience subjects in their syllabus to enhance their students’ careers. The need for Predicting and Analyzing has increased in multiple industries and domains. E.g. BFSI, Healthcare and Manufacturing. #Jobs in #Analytics have doubled in the past two years. The number of #DataScientist jobs are projected to grow almost 50% by the year 2020. As per research, it takes almost 53 days (avg.) to fill an #Analytics managerial position in Professional services. Above all, being a #DataScience #Recruiter, I can see a huge number of #Analytics and #DataScience requirements coming from our clients across multiple domains and industries. Aspiring #DataScientists can keep themselves updated with the Job skill trends & techniques; and sharpen their knowledge daily. In addition, I suggest keeping in touch with particular #Analytics #recruiters and Top Staffing firms that provide Analytics recruitment services.